You can perform billable work quicker and with improved client communication and retention with increased data security. But transiting to Cloud-based business and maintaining confidential data accessible over the Web raises deployment and security issues that professional practice firms must assess. Now you can learn from one of the accounting technology industry’s leading experts how to successfully move your firm into the cloud. 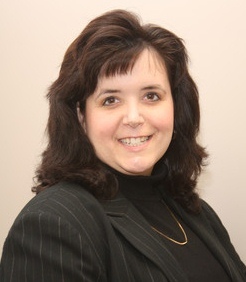 Jennifer Katrulya, CPA, is founder and CEO of Danbury, Conn.-based Business Management Resource Group, a firm that uses cloud-based accounting systems to provide outsourced accounting and advisory services to clients across the U.S. and internationally. She also educates other CPA firms in how to make the most of Cloud-based best practices. Ms. Katrulya’s extensive cloud-plus-accounting experience and knowledge includes advising hundreds of small and mid-sized business clients on utilizing cloud computing and cloud accounting technologies to profitably build their practices. Cloud computing is changing forever the way that professional practices do business. Find out what all the excitement is about and why Cloud9 Real Time has won more recent industry awards than all other cloud practice providers combined. Request a demo or get a free trial and take your practice to the Cloud!